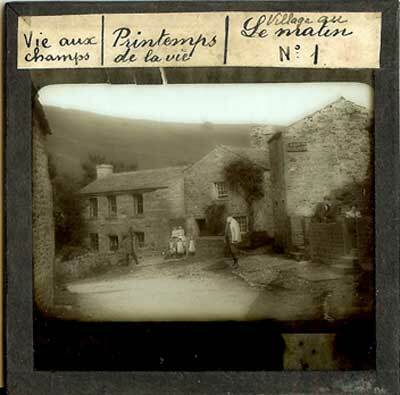 This glass negative of Keld village was possibly taken in the early 1900s. The inhabitants are posed motionless near to the reading room as a postman looks on from a doorway. The 1911 census lists John Rukin, 26 years old, as a postman living in the village. 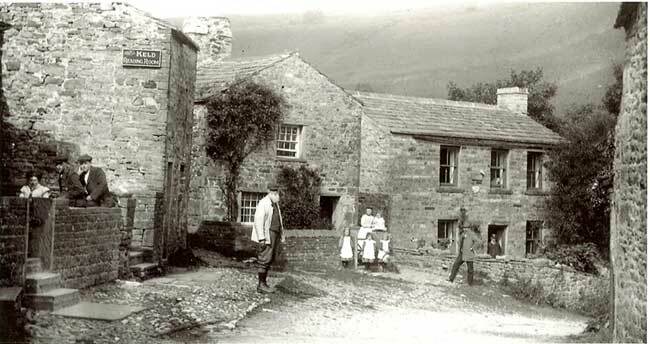 At Keld post office Christiana Waggett is noted as sub postmistress.